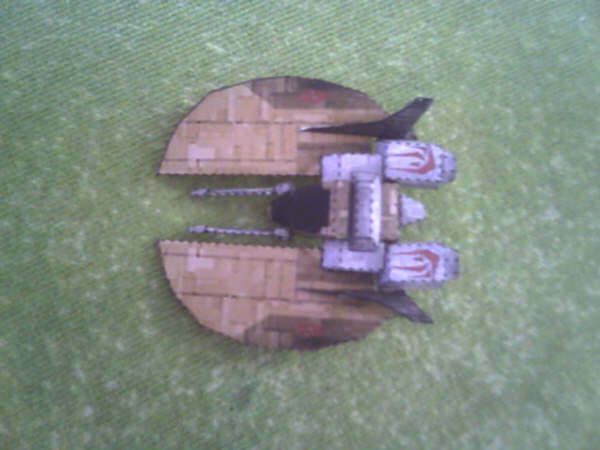 This KF-100 Drathi is the standard Fighter of the Imperial Kilrath Navy in the first two games Wing Commander. 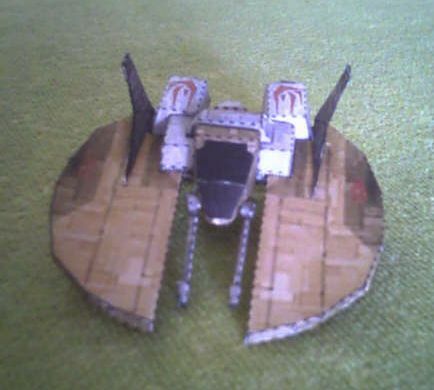 No there is any ship that more it symbolizes the Empire of Kilrah that the Dralthi fighter with his characteristic bat wing. A succession of initial successes in space combats combined with his different silouette printed Dralthi in their human opponents’ minds a superiority aspect (similar to the that happened to the allied pilots in the II World war (1939-1945) when faced the Japanese fighter Mistubishi A6M2 Zero). This psychological impact was also caused by the gigantic production of this model - it was the more comun fighter found in the theater of operations Vega. 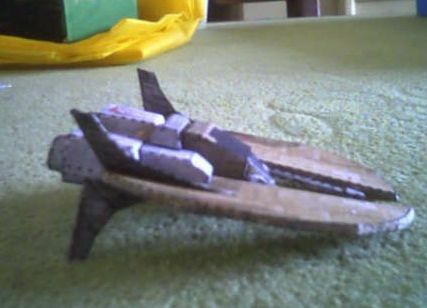 The first production model, KF-100 is minuscule compared to the fighters of the Terran Confederation, he entered in service in 2529, it was used initially in 2594 during the invasion of the Republic of Varni and in 2598 battle against Mantu. When the conflict with the Terran Confederation began to be serious, KF-100 Dralthi was one of Kilrath’s Empire main light/medium fighters. Although supplanted by subsequent models, KF-100 stayed in service until the last year of the Campaign of Vega - making a fundamental paper in the destruction of the Pegasus Naval Base. The second production version (simply classified like Dralthi) she entered in service in 2640. The new model was characterized by a series of technical improvements, including life support, extended autonomy and the introduction of an ejection system. 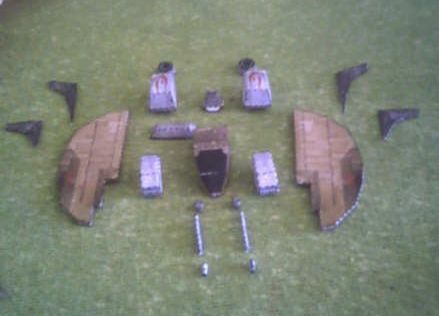 They made the debut during an attack in the System Prima Epsilon, attacking of surprise the aircraft carrier TCS Tiger Claw. However, Dralthi was not an engineering Kilrathi marvel: The great ovaloid wings blocked visibility on the sides of the fighter, forcing the kilrath pilots to dive instead of yawing during combat. And the worst, the generators of the shields were pursued by small technical problems - if they were worked and very frequently used and in an abrupt way they ended up failing completely. The ace Kilrathi that Dralthi flew was Dakhath Sihkag’s well-known and merciless Nar (nicknamed of “Deathstroke”) it was credited him 78 kills in dogfights space-for-space in a Dralthi KF-100 of initial series during the last years of the Campaign of Vega. His fighter was shot down in 2654 by the 1st Lieutenant Tanaka Mariko. Dralthi is a very simple model of being built, but that captures the "real" aspect of a Dralthi very well. 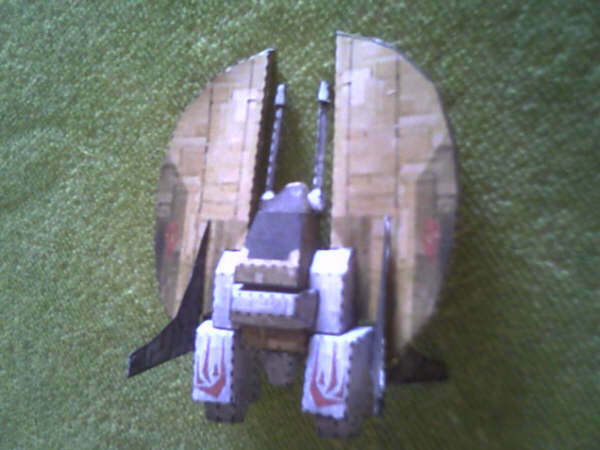 The prototype shown in the pictures, he has a small whatering done with silver metallic paint besides a cockpit done through the technique of the scratchbuilding.